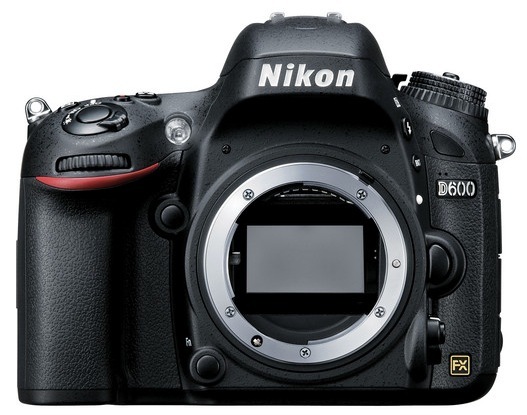 Have the D600 serviced by a Nikon service center. The full service advisory is reproduced below. Some D600 users have reported the appearance of random spots on their images which is generally attributed to the natural accumulation of dust. While understanding that dust will occur over time, and steps may be taken to reduce the occurrence, the complete elimination of these dust spots may sometimes be difficult. It has come to our attention that, in some rare cases, they may be reflected noticeably in images and removal may be difficult using normal measures. Therefore, Nikon is informing users of a service to reduce this issue. As a first step, please follow the guidance from the D600 User’s Manual (pages 301-305) related to the Clean Image Sensor function and manual cleaning using a blower bulb. If these measures do not remove all dust particles and you are still experiencing problems, then please consult your nearest Nikon service center. The technicians will examine the camera thoroughly, and service it as needed. See the following for instructions on requesting service by a Nikon service center. We hope that you will continue to choose Nikon for your photographic needs. It’s really unfortunate that this is an issue. Recently, a friend gave me two beautiful professional Nikon autofocus lenses. I thought of getting a D600 and building another system. [Currently, I have Canon equipment.] Because of this dust issue, I won’t be buying a D600. I will buy a used D700 so I can try these lenses – evaluate – then decide weather or not to purchase more Nikon equipment. D 700 ? I would like to have a explanation about it. I was going to purchase a D600 until I saw numerous comments on the web regarding the dust issue. I am glad I did not buy the camera especially the way Nikon is treating this issue. Such a disappointment.